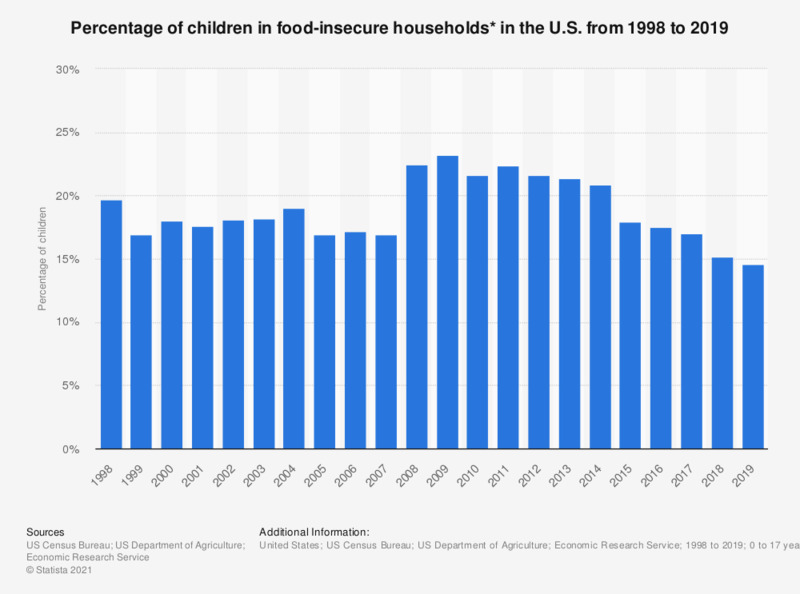 This statistic shows the percentage of children in food-insecure households in the United States from 1995 to 2017. In 2017, around 17 percent of all children lived in households that were classified as food insecure in the U.S.
* Either adults or children or both were food insecure. At times they were unable to acquire adequate food for active, healthy living for all household members because they had insufficient money and other resources for food. How much of an issue, if at all, do you think ensuring that there is enough food to go around is in the whole world today?